"A Forest for all People"
﻿Come explore the magnificent Jarrah forest on foot, wheelchair, bus or car. Stop and have a picnic while you admire the wildflowers or relax by the billabong - only 20 minutes from Bunbury. Crooked Brook Forest is an area of forest seven kilometres from Dardanup off Crooked Brook Road. Follow the sign post one kilometre from Dardanup on the Dardanup /Boyanup Road. This wonderful forest has been developed by a dedicated group of volunteers to provide facilities to all able, disabled and elderly visitors. This is why it is a ‘Forest for all People’ . Situated just 25km from the centre of Bunbury, in the beautiful Ferguson Valley of Dardanup is the Crooked Brook Forest. This beautiful forest destination continues to be developed by the proud local community into a 'Forest for all People'. It provides access for elderly and disabled visitors as well as challenges for the energetic. Within the tranquillity of this unique environment you can take in magnificent views, wildflowers and perhaps even see some of the wildlife. back to the main car park. Over the road, Wildflower Walk (moderate walking) is a three-kilometre circuit that leads to the lower car park and back to the main car park area. In addition to the natural beauty of the bush, the views from the lookout over Bunbury make the steep section of the walk well worthwhile. Finally we have the ten kilometre trail, Marri Walk, (moderate walking – allow 3 hours). 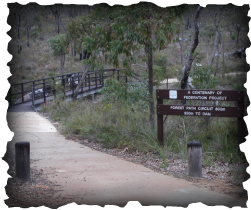 This exciting trail has several very scenic lookouts spots over Bunbury and the Ferguson Valley. A section of this path is multi-purpose and is shared with the Munda Biddi Mountain Bike Trail. It is advisable to carry drinking water. The Munda Biddi Trail is marked by yellow directional posts and shares sections of Wildflower Walk and Marri Walk. 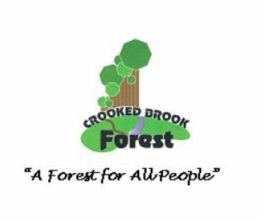 The Crooked Brook Forest Community Group has worked tirelessly, in conjunction with Department of Parks and Wildlife since 1994 and continues to develop this forest area. The Group is proud to see the Forest being regularly used by senior citizens, school groups, people with disabilities and young families. We are associated with Ferguson Valley Marketing and Promotions Inc. who are dedicated to promoting the business, lifestyle and visitor opportunities in the Shire of Dardanup in Australia's South West Region. Anyone wishing to be part of this volunteer group is welcome. In addition to working on the project it is a very sociable group and there are many happy get-togethers. Fundraising for the project is via grants. Please note that being part of this Community Group costs nothing to join - all we need is your time and friendship. Whether you are just looking for a quiet place for a walk or a picnic, or for a project where you feel you can make a difference, Crooked Brook Forest is the place for you to consider.